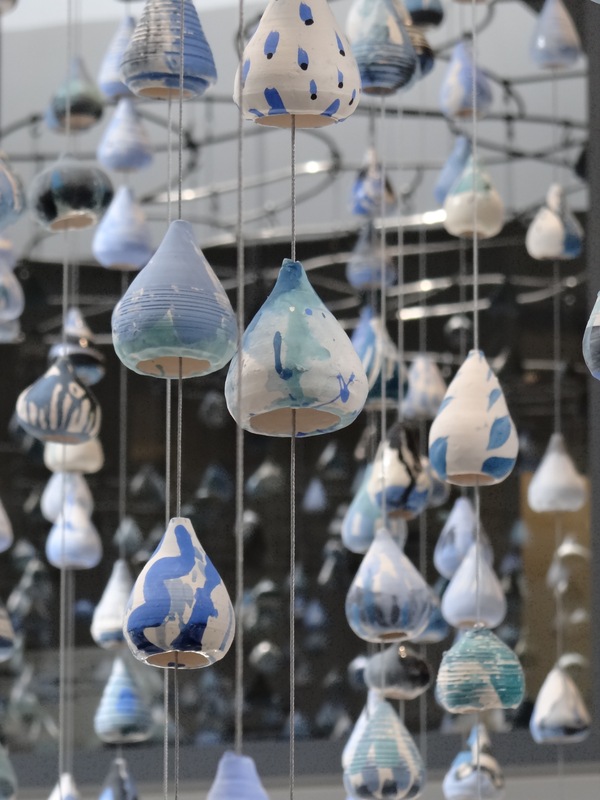 Drop by Drop, an installation of around 5,200 hand thrown, hand painted ceramic elements at 333 University Avenue, Sacramento. Ceramic, steel, steel cable, and water feature. 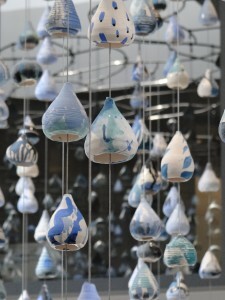 Hand thrown and painted, around 5000 ceramic elements suspended. 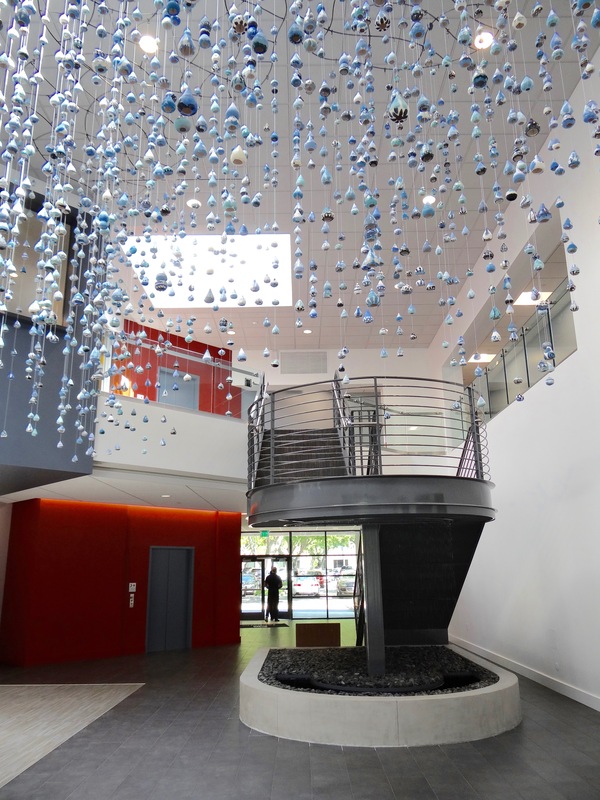 View looking east to water feature, designed to enliven dead space under stairs, and to provide the sound of water to the space. Fabricated by the Jackson team. Through the seasons, from morning to night, light affects the space.